The dark temaku glaze atop this stunning, handmade stoneware table features rivers of glass weaving across the surface. For outdoor or indoor use, the table stands 24″ high and is 20″ wide. 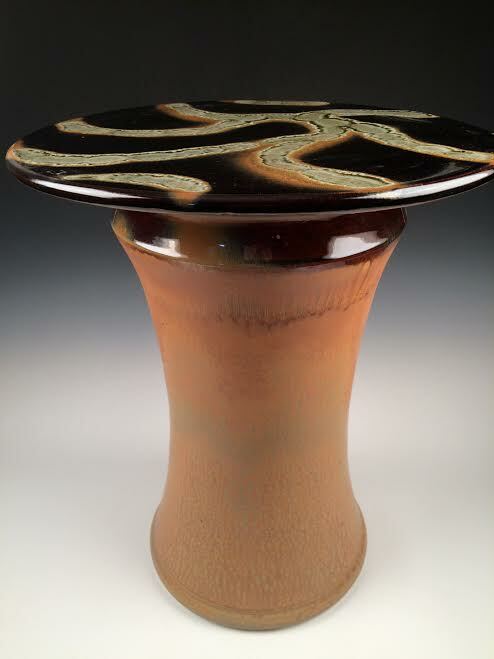 Created by Kansas native and potter Danny Meisinger.